… But hell yeah it’s Paris! 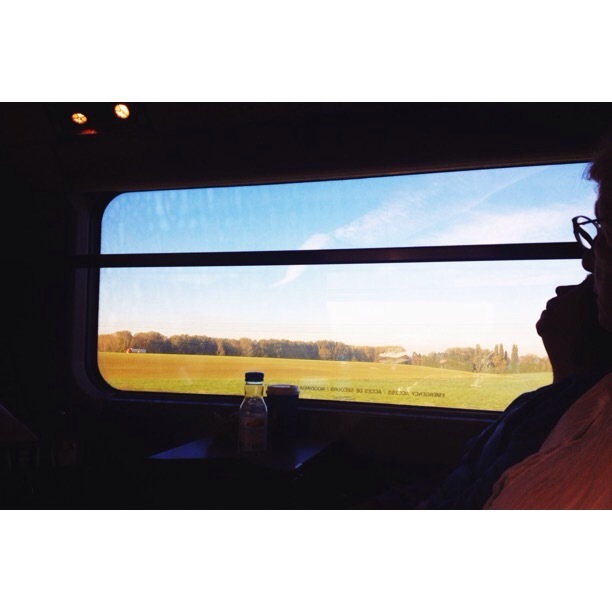 And this is the view from my train from London to Paris. How cool is it that I could take a train from London? Even if it was 7am. And, if you’re wondering, we travelled underneath the channel for just 20 minutes and I almost didn’t even realized. Yes it took me a bit before climbing it and yes I felt like dying. But, the view? Amazing! 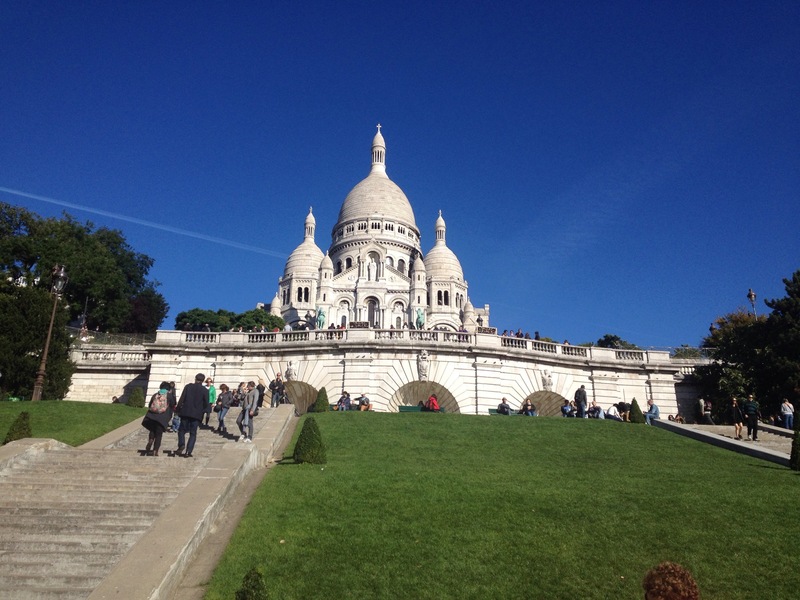 So, since my first day in Paris was so sunny, my friend and I decided to walk all over the place. After this stop we went straight to the Eiffel tower. 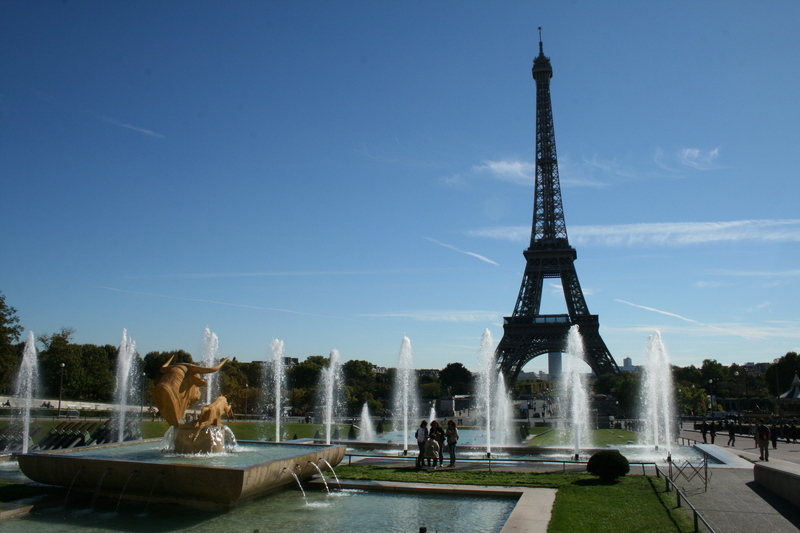 Go to Trocadero, you will be amazed by the view I promise! Also, if you are planning to go up with the lift then buy the tickets online. We didn’t think about it and the queue was soooo long that we couldn’t afford to wait, there were too many other things to see so we skipped it. 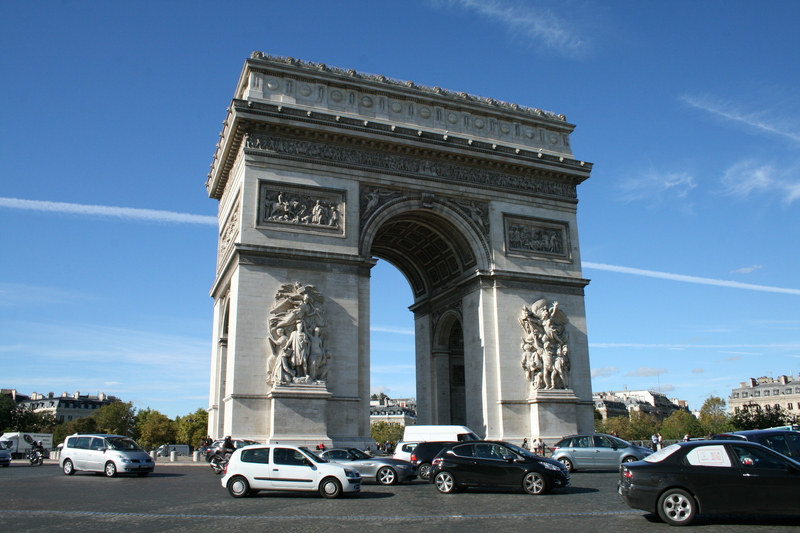 Now, how many of you believe that the Champs-Élysées are just behind the tower? Because I was sure it was but it’s not. In fact, to reach the Champs you need to take several tubes. Because you need to know that in my opinion Paris has a weird tube system. There’s no logic in it (or maybe it has one, for the residents) and it might happen that you need to change several lines to go to some places. It’s almost like they built the tube before building the main monuments. So anyway, we headed to the Arc de Triomphe and then from there walked on the Champs-Élysées. A pretty long walk in the main area with fancy shops all over. But hey, Notre Dame was waiting so we decided it was time for me to take a bus and do as the parisiennes are doing. 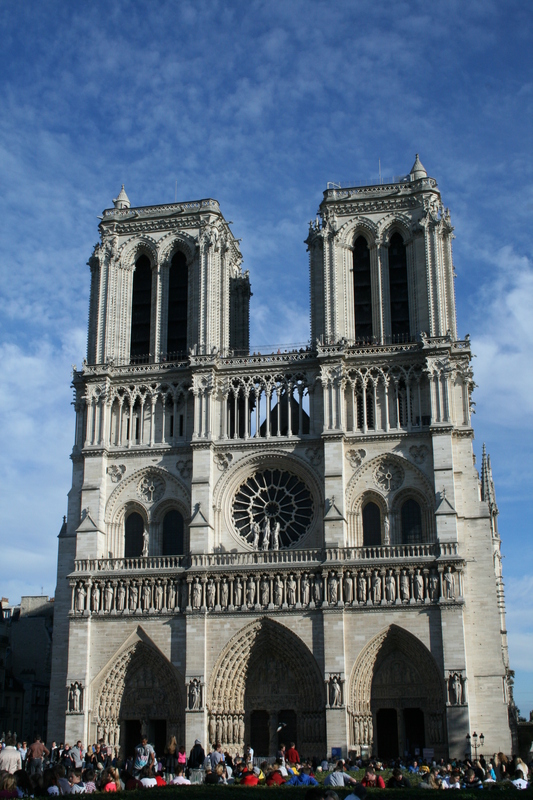 You need to know that the original plan was to climb the infinite stairs at Notre Dame, but after all this walking around I couldn’t. There was no way I could face the stairs, so I decided to visit just the inside of the beautiful cathedral. Breathtaking. 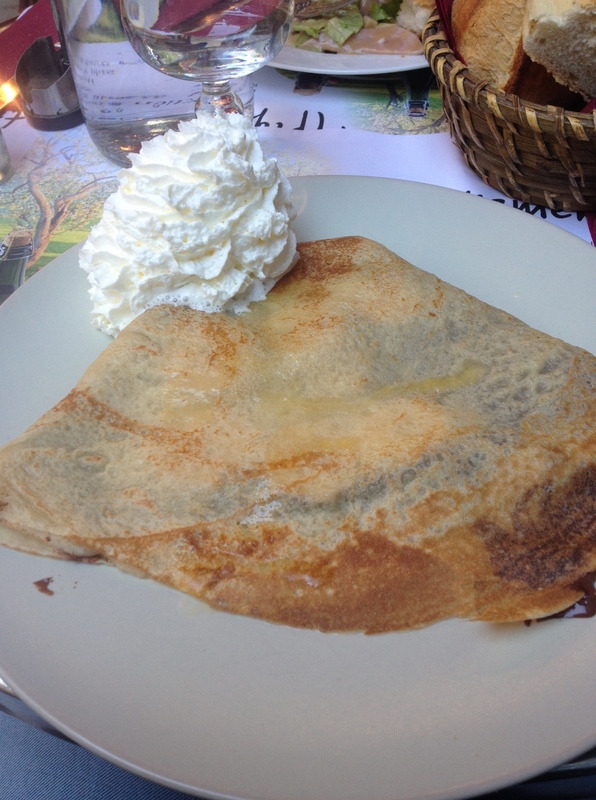 To end the day in a nice way (not to mention that after this I visited St. Michel fountain and the Sorbonne University) I felt like I deserved a Crepe and Nutella and Banana seemed a reasonable flavor tho chose. Stay tuned for paris day 2&3: it is mostly museums but there are tip and tricks about it. PreviousBarcolana 46: the beauty of the sea and its smell. NextParis day 2&3: all about museums!